U-M’s export controls compliance guidelines are articulated in a memorandum from the Vice President for Research. The guidelines express the goal of adhering to the federal export controls regulations while maintaining U-M’s “openness in research” policy (Regents' Policy Concerning Research Grants, Contracts, and Agreements; SPG 303.01). The export control laws primarily consist of three separate federal regulations, administered by separate federal agencies. These regulations outline restrictions and licensing requirements for exporting items, technology, services, and/or data. Each agency maintains various lists that identify the items under its jurisdiction (see References and Resources below). International Traffic in Arms Regulations (ITAR) – administered by the U.S. Department of State Directorate of Defense Trade Controls, ITAR regulates items and services related to military/defense applications, including spacecraft and satellites. Export Administration Regulations (EAR) – administered by the U.S. Department of Commerce Bureau of Industry and Security, EAR covers "dual use" civilian/military items and technology and some items that have solely civilian use. Office of Foreign Assets Control (OFAC) - administered by the U.S. Department of the Treasury, OFAC covers restrictions due to foreign trade embargoes and economic sanctions. Some items might be covered by more than one regulation and agency. Always check the resource lists for each regulation when considering a specific activity (e.g., shipping, travelling internationally, research). The export controls regulations have a variety of exclusions and exemptions. For universities, the most pertinent is the Fundamental Research Exclusion (FRE) as identified in the National Security Decision Directive (NSDD) 189. This directive defines fundamental research and declares that federally sponsored university research should be unimpeded by export controls unless there are legitimate national security concerns at stake. Research conducted at an accredited institute of higher learning within the U.S.
Other applicable laws, regulations, guidelines, and clauses, to which the University complies, adequately protect the concerns of the federal government regarding the export of sensitive information. Acceptance of participation restrictions in research contracts and agreements would be in violation of the U-M nondiscrimination policies and State of Michigan nondiscrimination laws (specifically, MCLA 37.2202). The inability to allow access to data by foreign nationals is a de facto restriction on the ability of the faculty to publish the results containing such data in publicly available journals or to present such data at professional meetings. However, ITAR and EAR apply the fundamental research exclusion differently and the items themselves (e.g., technology, technical data, etc.) remain subject to export controls even if the research with them is deemed fundamental. This impacts research activity, including international travel, open access, shipping of items, proper use of information technology, and more. 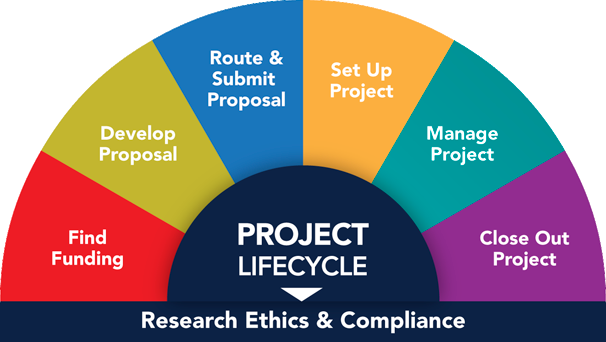 The Export Controls Officer works with ORSP to conduct a case-by-case review of pending sponsored awards to verify potential export controls requirements as initially identified on the U-M Proposal Approval Form (see PAF Process). Investigators work with the Export Controls Officer to develop a Technology Control Plan as applicable (see TCP Process). Civil sanctions involve lower fine amounts but may include denial of export license(s), forfeiture of research funds and/or activities, etc. Violations must be reported completely and expediently. Each regulation specifically states that self-reporting will be taken into consideration when an agency accesses fines or penalties to violators of the regulations. If you suspect that you have violated a term of your Technology Control Plan, or the regulations in other ways, contact the U-M Export Controls Officer as soon as possible. Commerce Control List (CCL) List of items and data subject to EAR, including “low-technology consumer goods” (designated EAR99) that may require a license for export or travel. United States Munitions List (USML) List of items, data, or services subject to ITAR regulations. Spacecraft systems and associated equipment are on the USML even though they might be for civilian use only and are not developed or used for defense applications. Specially Designated Nationals (SDN) List Details individuals and companies owned or controlled by, or acting for or on behalf of, sanctioned countries. It also lists individuals, groups, and entities, such as terrorists and narcotics traffickers designated under OFAC sanction programs that are not country-specific.